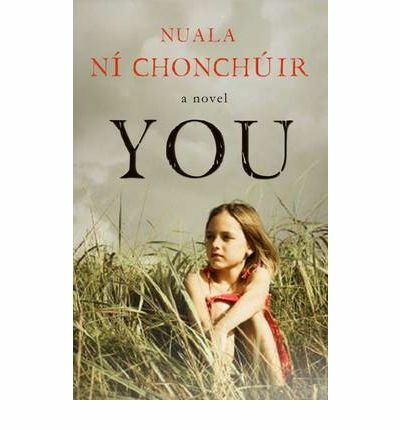 At first glance the prospect of reading a novel written entirely in the second person and mostly in the present tense might prove daunting to many, but it is a testament to Nuala Ní Chonchúir’s skill as a writer that the story fairly clips along. Told from the point of view of a ten year old girl growing up in 1980s Dublin, the use of the second person device pulls the reader into her world, where ‘you’ experience everything she does as she does, with an immediacy that is striking. And this world includes a crumbling house by the river Liffey; an emotionally fragile mother struggling for a little happiness in her life while raising three children by two different fathers, both of whom are long gone; the mother’s friends and acquaintances, who are regularly depended on to mind the children; and the girl’s (your) two brothers, friends and enemies. All these elements could well form the ingredients of your typical kitchen sink drama, but what brings the whole thing alive with a vivid tension is the perfectly captured voice of the girl (Also noteworthy is Ní Chonchúir’s light touch in bringing 1980s Dublin to life with skill and economy). Through the girl, we see how her mother deals with the news that her estranged husband’s girlfriend is having a baby, we see her mother’s mood swings spurred on by a heavy dependence on alcohol, we see how her mother’s friends rally round to help however they can. And these concerns sit side by side with the sudden departure of the girl’s best friend to Wales and the prospect of a long summer with little to do and nobody to do it with. It’s this voice that lends the events that unfold throughout the story, and in particular the tragedy that strikes the girl’s family and its consequences, a simple, understated poignancy that is at times heartrending. Sounds great John, will definitely be grabbing it off your nightstand, cant wait t read it.